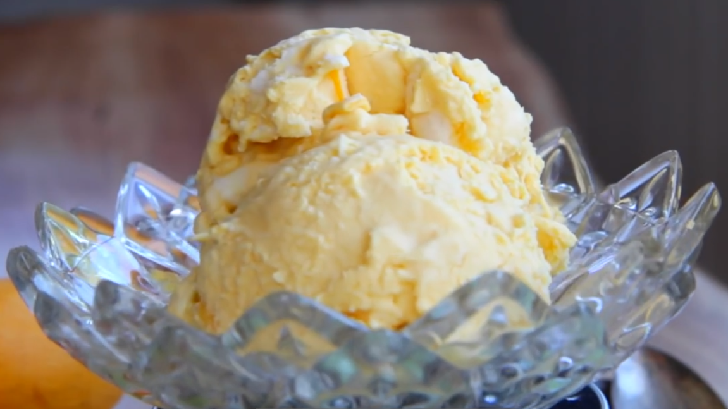 This delicious dairy-free mango coconut sorbet uses only 3 ingredients. Too easy! Plus, it’s loaded with fiber and immunity-boosting vitamin C! Peel mangoes,(don’t forget our little obligation to one half) cut around the pit, cut into chunks and put in a blender. Add coconut milk and honey and blend everything to be smooth. Put into ice cream maker and churn or put into a freezer-safe bowl and freeze for about 6-8 hours or overnight. Note: If not using an ice cream maker, be sure to remove the mixture from the freezer and whisk once every hour until completely frozen. When you take it out of the freezer to eat, it will be very hard so it helps to let it sit for about five minutes before scooping out. Enjoy!